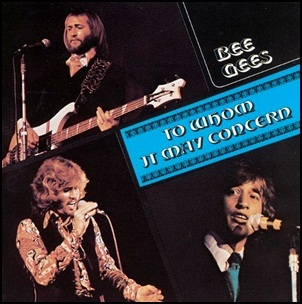 In October 1972, “Polydor” label released “To Whom It May Concern”, the tenth Bee Gees album. It was recorded January 1971 – January / April 1972, at “IBC Studios” in London, and was produced by Robert Stigwood, Barry Gibb, Robin Gibb and Maurice Gibb. All tracks by Barry Gibb, Robin Gibb and Maurice Gibb, except where noted. On September 26, 1969, “Apple Records” label released “Abbey Road” the eleventh Beatles studio album. It was recorded February 22 – August 20, 1969, at “EMI Studios”, “Olympic Studios” and “Trident Studios” in London, and was produced by George Martin. The album recording sessions were the last in which all four Beatles participated. Although “Let It Be” was the final Beatles album before the band’s dissolution in April 1970, most of the album had been recorded before the “Abbey Road” sessions began.The album cover The album cover was designed by “Apple Records” creative director Kosh, and It is the only original UK Beatles album sleeve to show neither the artist name nor the album title on its front cover. The cover has become one of the most famous and imitated images in the history of recorded music. 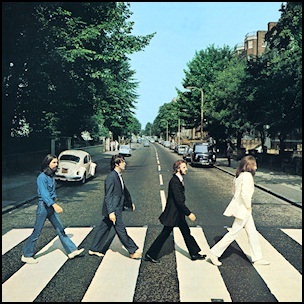 “Rolling Stone” magazine ranked “Abbey Road” at number 14 on its list of the “500 Greatest Albums of All Time”. The album was certified Diamond in Argentina by “CAPIF”; 3 x Platinum in Australia by “ARIA”; Diamond in Canada by “Music Canada”; Platinum in Germany by “BVMI”; 5 x Platinum in New Zealand by “RMNZ”; 2 x Platinum in UK by “BPI”, and 12 x Platinum in the US by “RIIA”. All tracks by John Lennon and Paul McCartney, except where noted. 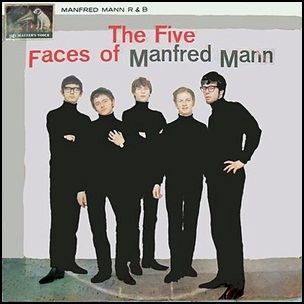 On September 11, 1964, “His Master Voice” label released “The Five Faces of Manfred Mann”, the debut Manfred Mann studio album. It was recorded in 1964, at “EMI Studios” in Abbey Road, London, and was produced by John Burgess.